Legal immigrants to the U.S. arrive under an immigrant visa, which is only valid for a limited amount of time. Unlike permanent residents, who hold a green card instead of a visa, visa holders do not have the right to remain in the U.S. indefinitely and must leave the country when the visa expires. You must apply for and receive permanent residency based on your marriage before USCIS will issue you a green card. If you do not obtain a green card during your marriage, however, your lack of permanent residency does not prevent you from divorcing your spouse. 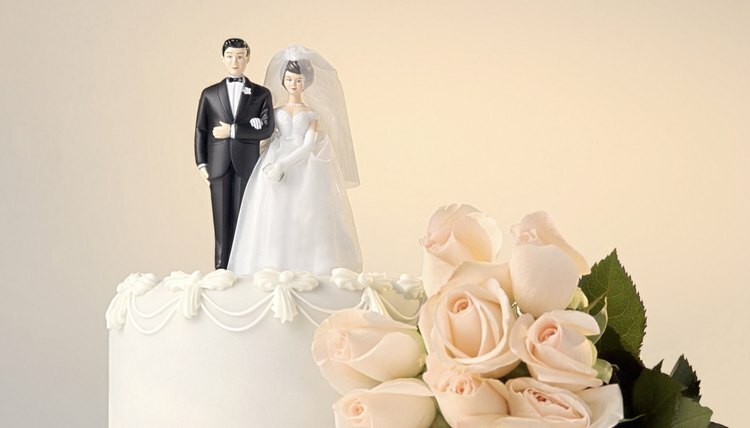 If you want to marry within the U.S. but are already married, you must first divorce your current spouse. This is the case regardless of whether or not you hold a green card. If your spouse lives in the U.S., the divorce process is the same as it is for citizens and permanent residents. The American Bar Association notes that if your spouse lives outside the U.S., you can still file for divorce. You must, however, follow the proper procedures when serving your spouse with divorce papers. The process of service may differ depending on your spouse's county of residence. Immigrants who live in the U.S. without a valid visa are illegal immigrants. They are not prevented, however, from legally marrying, divorcing and remarrying in the U.S. Any marriage or divorce they enter into is binding. It is possible for an illegal immigrant to obtain a divorce in the U.S. and remarry without having a green card. Illegal immigrants generally cannot obtain a green card through marriage. Thus, if an illegal immigrant marries a citizen or permanent resident and applies for permanent residency, USCIS will deny the petition and immediately begin deportation proceedings. While marrying and divorcing does not automatically initiate deportation, an illegal immigrant can be deported at any time. If you divorce your spouse in a foreign country and wish to remarry a U.S. citizen or permanent resident, you can enter the U.S. on a K-1 visa solely for the purpose of getting married. Before you enter the U.S., you and your fiance must apply together for a K-1 fiance visa. This visa gives you permission to enter the U.S. and marry a citizen or permanent resident. If you have previously been married, you must provide proof that you ended your former marriage before you will be eligible for a K-1 visa. If you are an immigrant to the U.S., marrying a citizen or permanent resident makes you eligible for a marriage-based green card. You are not required to apply for a green card and can marry and divorce at will in the U.S. provided you go through the proper legal channels to do so. If you do not apply for a green card, you must return to your home country when your visa expires – regardless of whether you are currently married. It can take anywhere from several months to several years for USCIS to approve your green card application, depending on your circumstances. If you divorce your spouse after applying for a green card but before receiving it, your pending application – and the fees you paid to USCIS – is abandoned. A battered spouse is the exception to this rule. If you divorce your spouse due to abuse, you can apply for and receive a green card for up to two years after the divorce. You can apply again should you remarry before your visa expires. Employment visas and student visas are often valid for several years and renewable prior to their expiration. Thus, it's perfectly plausible for some immigrants to meet and marry a second spouse while still retaining legal status in the U.S.
L.A. Divorce Blog: Can I Divorce an Illegal Immigrant and Request Alimony? What if Your Visa Is a Green Card and You Want a Divorce? If you received a green card because you married a U.S. citizen or a permanent resident, divorcing your spouse may affect your ability to keep that green card, depending on when the divorce took place. If you married and divorced your spouse within two years of when the U.S. Citizenship and Immigration Services issued you a green card, the USCIS will presume that your marriage was a sham. As a result, it is likely that you will be deported, unless you can prove that you entered into your marriage in good faith. If you sponsored a non-citizen for permanent residence in the United States, his immigration status depends on his marriage to you. This does not necessarily mean, however, that divorcing him will result in deportation or other unfavorable immigration consequences. Whether or not your spouse faces adverse immigration consequences after a divorce depends on the timing of the divorce, whether or not U.S. immigration authorities learn of the divorce, and whether or not the divorce leads them to conclude the marriage was illegitimate. What Happens if You Are Illegal & Getting a Divorce? The U.S. Immigration and Customs Enforcement agency, known as ICE, estimates at least 10 million people living in the United States are illegal immigrants. If you are an illegal immigrant and you and your U.S. citizen spouse are divorcing, the court proceedings are the same as those used when two U.S. citizens split up, but there is a risk you may be deported. What Happens if I Get Divorced After I Submit My Permanent Residency? Can You File for Citizenship if You Get Divorced? Can a Canadian Legally Marry an American Citizen in America?